When the environment is fun and inviting, play shapes the structural design of the brain releasing 'happy' hormones. 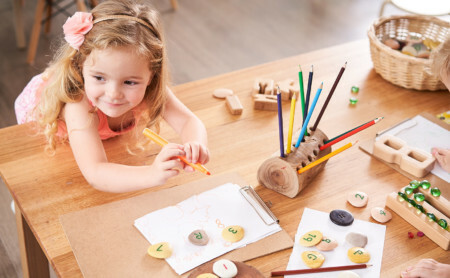 Research shows that children engaged in quality play-based experiences are more likely to have well-developed memory skills, language development and can regulate their behaviour, supporting the transition to school and academic learning later on in life. 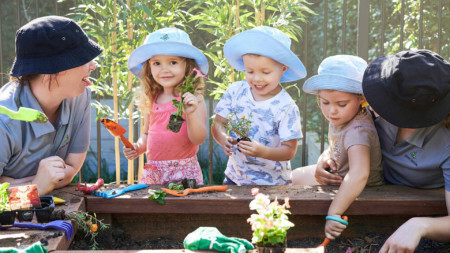 Green Leaves Early Learning provides quality play-based learning experiences that allow children to explore, identify, come up with their own theories and ideas, negotiate and take risks. These important skills allow children to enter the wider-world with confidence, curiosity and a life long desire to learn. 4 – 6 year olds bounce out of bed with excited enthusiasm each day. For our really early risers, a communal nutritious breakfast freshly prepared by our chef can be enjoyed. Our Kindergarten and Pre-school children are welcomed with warmth and respect from their fellow peers and teachers, as authentic relationships are built with each individual child. Families are encouraged to support children with morning tasks that build upon their confidence and school readiness skills. 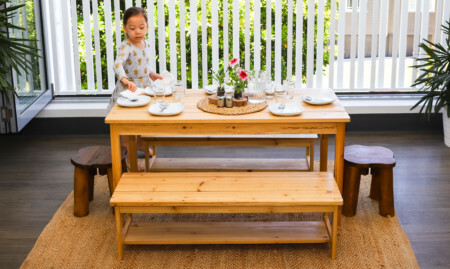 This warm welcome provides children with a sense of belonging and connection to their classroom environment and community. Families can take the time to relax or catch up on some work while enjoying a barista coffee and baked treat in our beautifully designed lounge. Throughout the year, families are also invited to attend specialist and community information sessions. 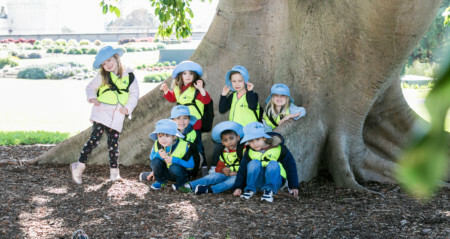 Green Leaves Early Learning education and care programs are inclusive of all activities including excursions and visiting shows. We do this because we are committed to ensuring that no child misses out. Our Kindergarten and Pre-School children enjoy their yoga and culinary classes but especially love it when its time for an outdoor adventure. 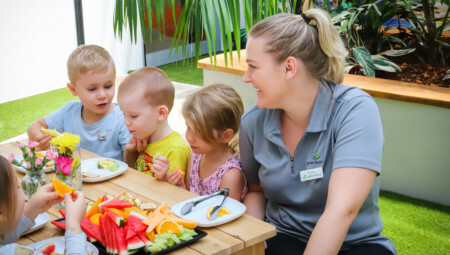 As part of their learning journey, our chef’s teach children to understand the importance of making healthy food choices and nourishing their bodies to think and play. 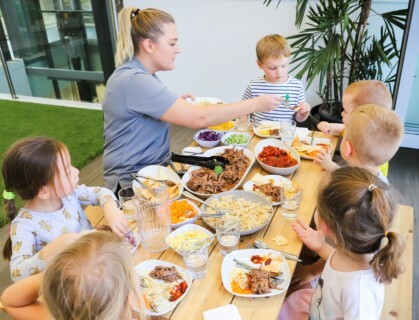 Our children also learn about food safety and hygiene and enjoy taking part in preparing their dining table before meals and helping each other to clear it afterwards. Literacy and numeracy skills are vital to ensuring children are given the best chance to succeed in their schooling and everyday life. Our literacy programs support the development of a child’s ability to read, write, create, speak and listen in a way that allows them to communicate and function effectively with the world around them. Our numeracy programs give our children the opportunity to solve problems and make sense of time, numbers, patterns and shapes. When slow cooked pulled pork, corn and avocado salsa, brown rice and freshly made roti is served for a communal lunch, there’s never any leftovers. Active, growing bodies require excellent nutrition and our menus are created by our qualified chefs with this in mind. Relaxation and mindfulness activities assist children to self-regulate, build an understanding of social and emotional consciousness and support mental health and well-being. Meditation, yoga and exploring sensory experiences in our zen garden can be enjoyed anytime throughout the day. Science, Technology, Engineering and Maths (STEM) activities provide our Kindergarten and Pre-School children with hands-on educational experiences. 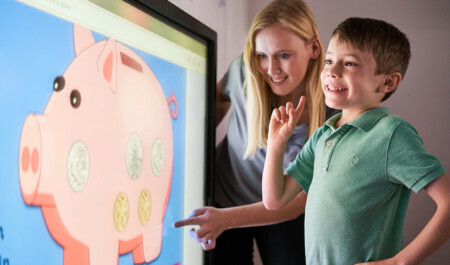 The introduction of interactive technology enhances both the teaching and learning experience. As they explore, tinker, build, experiment, observe and problem solve, our children develop the skills to think creatively and critically throughout their life. 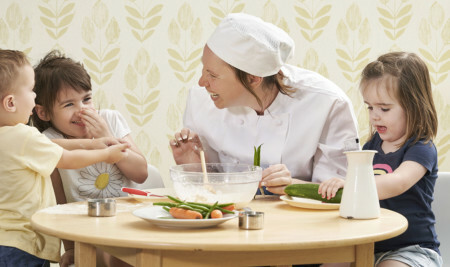 Progressive meal times are a community time in which children assist to prepare food and the meal environment, inviting peers to share in this social opportunity and make connections to themselves and others. Mini savoury vegetable and tasty cheese quiches served with seasonal fruit is an afternoon favourite. “To save the world for later” was how one of our gorgeous 5 year olds was heard explaining their understanding of environmental sustainability. We know that fostering a child’s love of their natural world needs to take place before we ask for their help to save it. Discovering and observing plant and animal life cycles is just one example of how our sustainability curriculum envokes a child’s curiosity, wonder and heightens their appreciation for this beautiful world. As children engage in free play activities exercising their imagination and creativity, we begin to farewell our friends until tomorrow. Each child leaves the centre feeling valued and eager to return. For hungry Little Scholars who are staying back a little late, a light evening snack is provided to tie hungry tummy’s over until dinner time. We invite you to explore our Bubs and Toddler learning journeys here. Babies grow and develop at incredible speed, achieving many significant milestones along the way. To help reach these, our passionate educators nurture them every step of the way. Our learning journeys for Bubs entices them to explore their curiosity in a safe, creative and supportive environment. Toddlers are developing a sense of independence and a voice in their world. They become more self-aware through their emotions as they explore their environment. The Toddlers learning journey promotes a sense of inquiry, wonder and encourages social engagement.